Companies like Google, Intel and LinkedIn have many things in common. They are all tech giants. They make billions of revenues each year. They are known all over the world. They have thousands of happy employees and millions of satisfied customers. They know who they are. They do what they do best. They know where they’re headed. Let´s dive into insights on how many objectives should your company really have to become efficient. The success of these companies can have many reasons. But in his book “Measure What Matters”, John Doerr talked about the ‘secret sauce’ all these tech giants have: Objectives and Key Results (OKR). It isn’t a new concept. It has been around decades ago. And despite the arrival of many other management concepts and leadership principles, OKR as a goal-setting framework remains to be one of the most powerful organisation tools available these days. OKRs are meant not only for a company to have a clear view of where they want to be or what they want to accomplish in the next few months or quarter. In essence, it’s a way of running your company to its fullest potential. It creates focus, accountability and prioritisation. It aligns team efforts so that everyone is working on the same goal. So how do these companies do it? Read more below. For OKRs to be successful, everything has to start with the objectives. 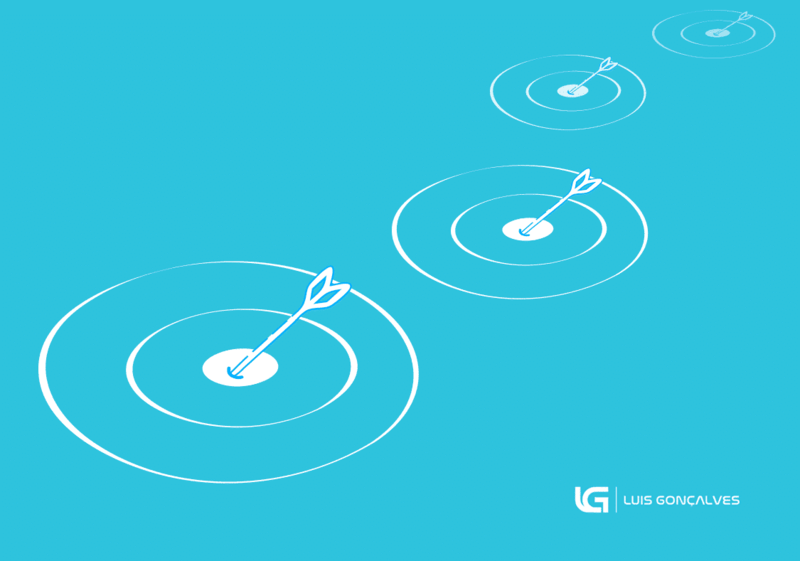 In a nutshell, objectives are simply your goals. They answer the question “WHAT”. As an executive, you can have a higher-level set of objectives or more specific ones. CEOs would have broader objectives as their roles encompass many aspects of the organisation while teams and business units may have a more limited scope when setting objectives as theirs would depend mainly on the department or management team that they support. But regardless of what kind of objectives you need to make, you should make sure that they are clear, concise, and specific. For example, your run a booking company and your goal for the month is to increase your revenue by 15%. This is your objective. When setting an objective, you want to challenge yourself and, in a sense, push yourself to your limits by getting a little more ambitious. That’s the essence of OKRs. You don’t set goals simply to sustain the status quo. You want to be one or two levels higher than where you were a month or a quarter before. As Google puts it, if you’re doing too well, you’re sandbagging it! OKR – How Many Objectives? Does this even matter? Wouldn’t it be much better if you can set as many objectives as you can? After all, you have many people to support you. Isn’t it that if you have a lot of objectives, you will have a lot of accomplishments? Sounds logical. But actually, OKRs don’t work that way. Limiting the number of objectives between 3 and 5 is the best way. And that’s not simply because it’s the way Google or Intel does it. First of all, you should know that OKRs are meant for shorter, greater impact goals. Each objective should have a completion date. In most companies, OKRs are created every quarter. For what reasons? The main reason why you want to have fewer objectives is because you want to really focus on what matters. You may want to accomplish so many things for your company but without efficient prioritisation, you won’t be able to quickly advance. The same thing will happen to the teams and individual members of your company. They could be working on so many things just to catch up with their OKRs but there’s a lesser chance that they would be able to get things done at the end of the quarter. When implementing OKRs, you want to do it slowly but surely. Before the quarter starts, call for a meeting with the key stakeholders. Brainstorm on the most important goals based on your organisational OKRs. Other things can wait in the coming quarter. OKRs are ambitious but they should also be realistic. When setting objectives, take into consideration the timeframe given to your teams or employees. If you are having quarterly OKRs, then you want your objectives to be something that are achievable in three months. OKRs are meant to be flexible. Setting long-term goals are important and should be incorporated into your high-level organisational objectives. That’s why annual OKRs are widely practised. But quarterly OKRs are inevitable because they are meant to be fluid, not rigid. Thus, when circumstances change and other unexpected things happen, you can easily tweak your objectives to ensure that your team could adapt. Try setting one OKR at a time. Christina Wodtke, an American businesswoman and OKR expert, claim that companies should just make one objective and key results. Put up a marketing team and hire a new VP by the end of the third quarter. Increase monthly revenues by 10%. Promote website on social media and increase customer engagement by 50%. Maximum of 5 objectives with 4 key results. 60% + objectives from the bottom up. No one should dictate. All must mutually agree. OKRs should not be used as performance measures. When grading, 60-70% means “GOOD” and 100% means “BAD”. Continue incomplete KRs only when they are still relevant and useful. By combining both Wodtke’s and Doerr’s ideas, you can definitely determine the ideal number of objectives that will work for your company. Again, less is more. It drives focus and prioritisation and leads to high-impact results. Check out these 11 Objective and Key Results examples to get your company started in adopting OKR. Don’t have to guess anymore! OKR Approach article – Visibility is a keyword in the OKR concept – employees know and understand what is expected of them at work.